Are the Sabean people of Cushitic or Ethiopian origin? The Sabeans are widely acknowledged to be of Semitic or south Arabian origin. Historical sources like Josephus Flavius and sections of the Bible seem to create conflicts about their origin. There is a city bearing a similar name in modern Sudan. The Ethiopians were in danger of being reduced to slavery, and all sorts of destruction; and at length they retired to Saba, which was a royal city of Ethiopia, which Cambyses afterwards named Mero, after the name of his own sister. The place was to be besieged with very great difficulty, since it was both encompassed by the Nile quite round... for the city was situate in a retired place, and was inhabited after the manner of an island, being encompassed with a strong wall, and having the rivers to guard them from their enemies, and having great ramparts between the wall and the rivers, insomuch, that when the waters come with the greatest violence, it can never be drowned; which ramparts make it next to impossible for even such as are gotten over the rivers to take the city. Below is an excerpt of Josephus' writings about the Queen of Sheba. For clarity please note that I am the one linking Sheba, Soba and Saba using all of these historical sources. Genesis 10:6-7 The sons of Ham were Cush, Mizraim, Put, and Canaan. The sons of Cush were Seba, Havilah, Sabtah, Raamah, and Sabtechah; and the sons of Raamah were Sheba and Dedan. When all these separate bits of information are put together, it all becomes very intriguing. I need to make sense of all these historical and contemporary connections surrounding Soba, Saba, Sheba and the Sabean people. Where are their descendants today? Why does modern archaeology attribute a Semitic, Arabian and Yemeni origin to these people. Whether or not there is any evidence for their Ethiopian origin as Josephus Flavius suggests. Are the Sabean people of Ethiopian origin? No. The evidence suggests that they originated in the region now known as South Arabia. Did the Sabean people truly exist? We have the remains of their cities, including at Ma'rib in modern Yemen, so we can be pretty sure that the Sabean people really did exist. After perhaps 2500 years, does that question actually have any meaning? Given 100 generations or so for their descendants to disperse, the Sabean people probably have descendants spread across the globe. Why does modern archaeology attribute a Semitic, Arabian and Yemeni origin to these people? Because that is what the evidence tells us. Specifically, the earliest examples of inscriptions in the Sabaean language (which belongs belongs to the South Arabian subgroup of the Semitic branch of the Afro-Asiatic language family) have been found on archaeological sites in Yemen, in South Arabia. Is there any evidence for their Ethiopian origin, as Josephus Flavius suggests? We can be reasonably certain that the Sabaean language was an Old South Arabian language. It belongs to the South Arabian subgroup of the Semitic branch of the Afro-Asiatic language family. We have a large number of inscriptions in the Sabaean language from the Kingdom of Saba, including many from the capital of the ancient kingdom of Saba, Ma'rib in modern Yemen, so we can be pretty sure that the Sabean people did exist. "Her existence is disputed and can't be confirmed by historians." "The biblical thousand-and-one-nights story of Solomon and Sheba is thus an anachronistic seventh-century set piece meant to legitimize the participation of Judah in the lucrative Arabian trade." There is no evidence for a female ruler of Egypt at any point in that period. However, the possibility of a Kingdom of Sheba cannot be discounted, and many seem happy to equate it with the Kingdom of Saba. 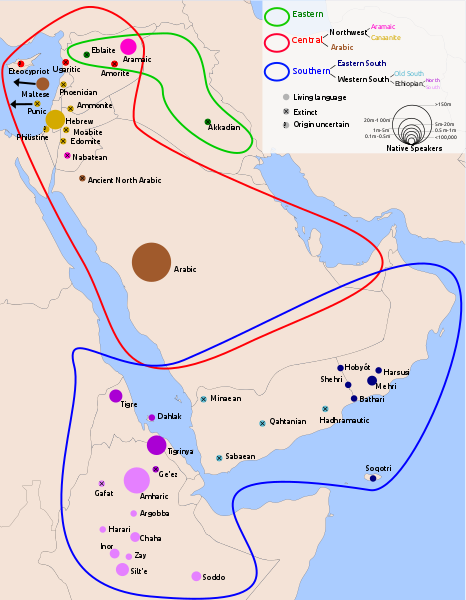 This has led to speculation that the Kingdom of Sheba may have spanned the Red Sea, encompassing parts of modern Ethiopia and modern Yemen. Of course, an alternative possibility is simply that the Sabaean language was adopted by the Ethiopian kingdoms. 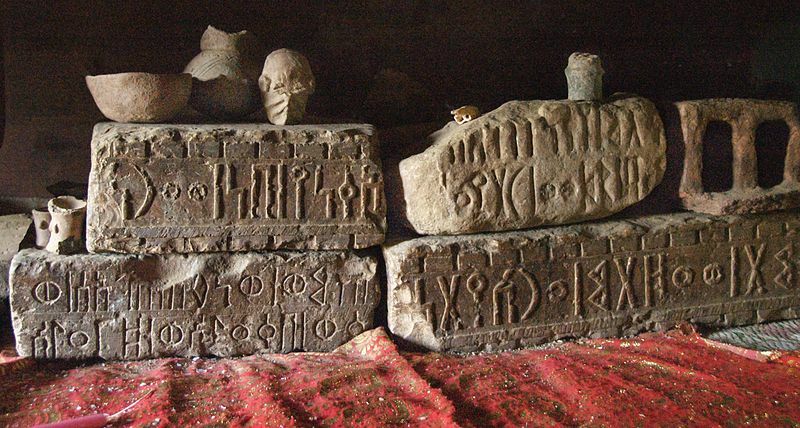 However, it should be noted that the Ethiopian inscriptions all date from contexts much later than the earliest inscriptions from Yemen. Thus, the source of the Sabaean language, and so also -presumably - the Sabaean people, definitely seems to be Southern Arabia. A few things that I think need to be cleared up here. First: When the ancients said "Ethiopia", they generally meant the territory directly south of Egypt, what we today call Sudan. They were not talking about the territory we call "Ethiopia" today. That usage didn't start until the 4th century AD, well after the entire Bible was written. This is important because Sudan has probably been inhabited by Nilo-Saharan people for all of recorded history, while the Ethiopian highlands have probably been inhabited by various flavors of Afro-Asiatic peoples that entire time. These are very different people. Ancient "Ethiopians" were Nubians, not Ethiopians. Do not get the two mixed up. Second, there is no real kinship between modern and ancient societies, other than cultural. The best way to track that is language. So if you want to know who are the descendants of an ancient people, the only real meaningful way to do that (in less than 5-volume novel form) is to find what language they spoke, then go talk to the linguists. In the case of the Sabeans, their language went extinct with no successors in favor of Arabic (which is fairly closely related) around the 6th Century AD. The closest living language is Razihi, which is spoken by about 60,000 people in northwest Yemen. Razhi is the sole survivor of the South Arabian languages. It is sort of a cousin language, while Arabic is more like a third or fourth cousin. Here's a map showing the historical distribution of the Semitic languages. It shows Sabean and some of its close cousins as dead (with little x's through them) languages in Yemen. If Razihi was on there, it would be a non-xed light blue dot quite near Minean. Not the answer you're looking for? Browse other questions tagged ancient-history identification ethnicity historical-accuracy ethiopia or ask your own question. Who are the people walking with Hitler? In view of the widespread use of the term “Semitic”, which groups of people are classified as being of Hamitic ethnicity?